Vettel started the race in third place but dropped behind his team-mate early on. The German began to push and was told he must pass Leclerc after 15 laps. However, that caused the Italian team a world of problems as Leclerc was quicker and was getting backed up by Vettel. Max Verstappen, in fifth place, then closed the gap on both Ferrari’s and they were stumped with a huge dilemma. “How fast can you go? Need to push now,” the team told Vettel. The four-time world champion locked up twice and Leclerc began to get really frustrated in his wake. “I’m losing quite a lot of time,” Leclerc said. The youngster then asked to pass his team-mate. “We are discussing that,” responded Ferrari. 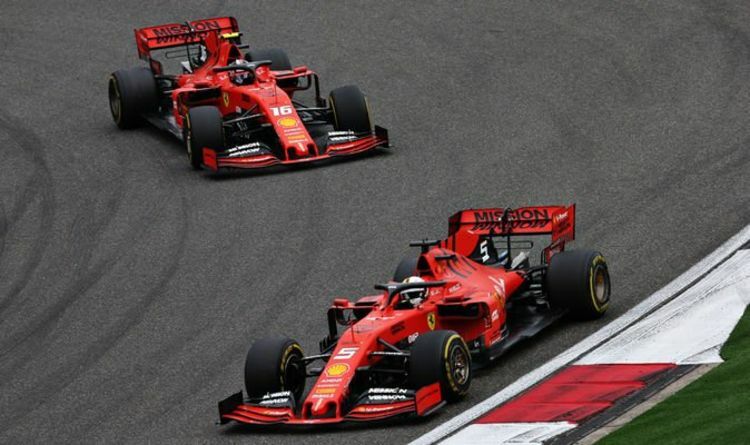 Team orders have been a huge talking point this season as Ferrari also made Leclerc move aside in the Australian Grand Prix. The 21-year-old said before the Shanghai race that he understood why the team issue such commands. “Overall in a team I think we need a number one and a number two,” he said. Vettel added: “This is generally a topic that is cooked much hotter than eaten. It’s always interesting for people to ask such questions.